Now THIS is what a "fierce advocate" looks like. Half a million people were expected to take to the streets. 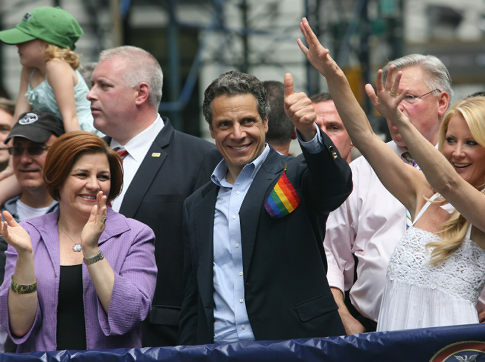 The Marriage Equality Act was passed in the state Senate on Friday evening, and signed into law by Cuomo at 11:55 p.m. ET, less than 2 hours after the vote. The law takes effect in 30 days.